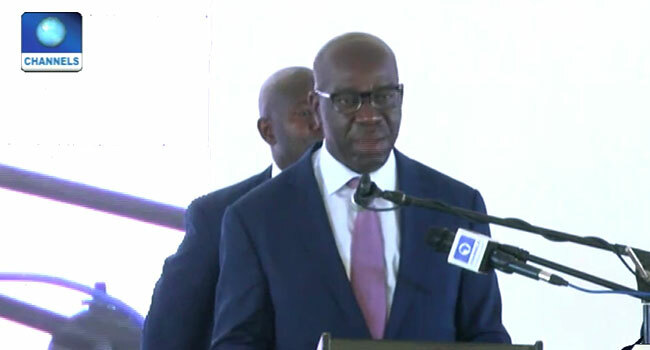 The Edo State Governor, Mr. Godwin Obaseki, has approved verification exercise and payment of three months stipends for a new batch of Libya returnees of Edo State origin. Senior Special Assistant (SSA) to the Governor on Anti-Human Trafficking and Illegal Migration, Comrade Solomon Okoduwa, disclosed this during the verification exercise on Monday. Mr Okoduwa said since the first two batches of returnees were received by the state government between 7th and 15th November 2017, the state has recorded 26 other batches totalling 3,165 returnees. “The verification exercise for the new batch of returnees will be processed in the next 12 days, after which payment of their stipends will commence. Each returnee will be paid a stipend of N20,00 per month for three months. Among them, pregnant women will be entitled to N25,000 each, while those with babies will get N30,000 each,” he said. He assured the returnees that they will get their stipends, urging them to follow the required procedures to get verified.